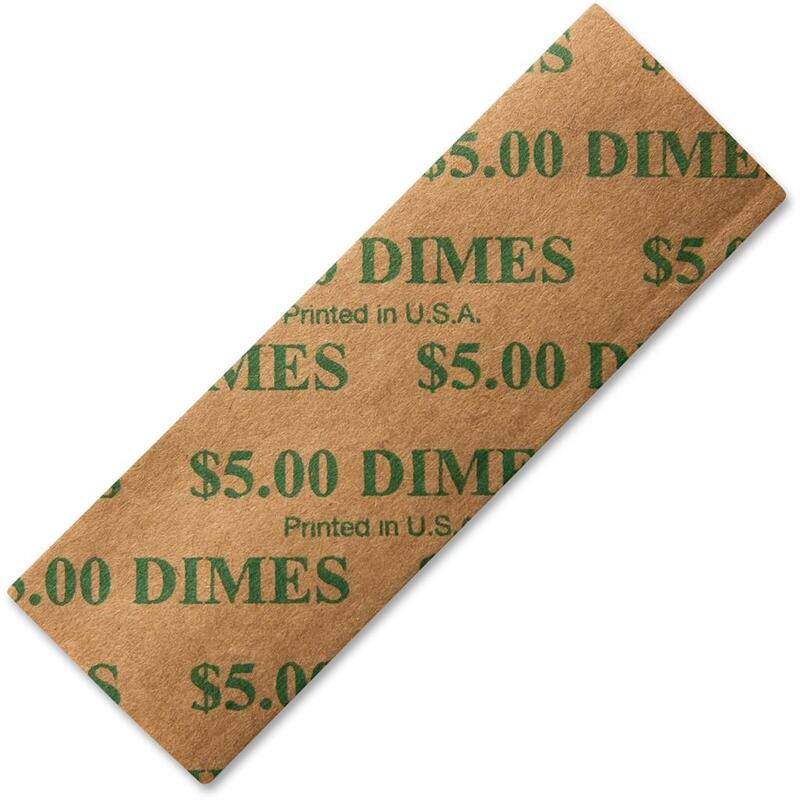 Flat coin wrappers for dimes are color-coded green to Federal Reserve and American Banking Association (ABA) standards for easy denomination identification. Made of sturdy kraft paper, flat coin wrappers pop open with a light squeeze for fast, easy filling. Each roll offers a capacity of $5.